Comfortably residing on the stunning seafront of Cornwall. 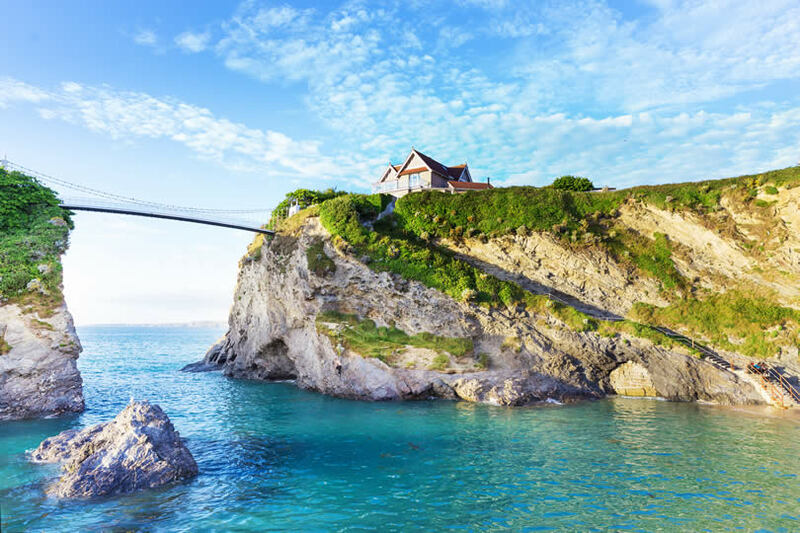 Newquay is one of the most popular seaside towns in the UK and attracts tens of thousands of visitors annually. This wonderful town offers undeniable seaside charm and a fairly laid back atmosphere as well as a multitude of exciting summer activities. This pretty fishing port is the UK’s surf capital and hosts many high-profile national and international surfing competitions. Newquay is well known for its stunning string of beaches, including surfing paradise Fistral Beach. Accommodation is rife in this part of Cornwall so whether you are looking for guest houses or a small bed and breakfast, you will not feel let down by the choices available. 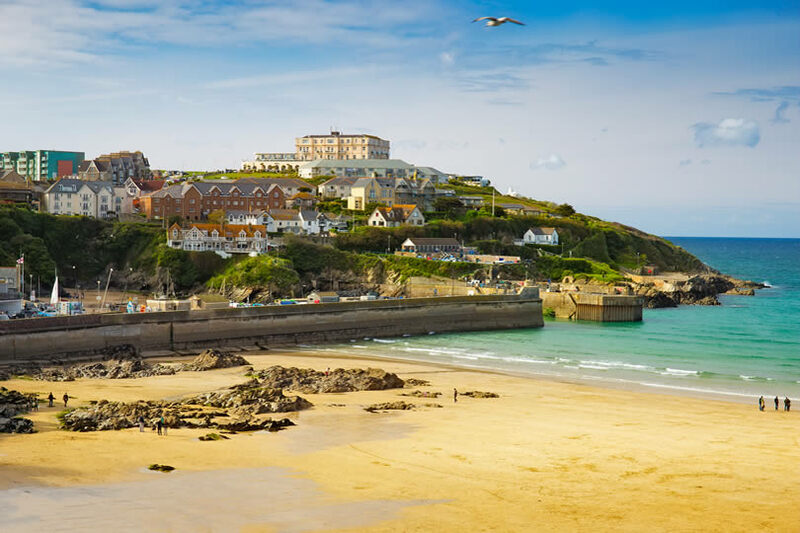 There are dozens of seafront properties available for holiday rentals and if you search in our database, you are bound to find a cheap B&B in Newquay for a short break or long weekend. Why Stay in St Ives or Newquay ? Newquay offers the perfect holiday destination to unwind and relax while having access to tonnes of exciting attractions. The town has voted as one of the UK’s top ten beach destinations and readers of COAST magazine have voted this resort as the best family holiday destination. Popular beaches include Fistral Beach, Crantock Beach, Great Western Beach, Towan Beach, Lusty Glaze Beach, Tolcarne Beach, Whipsiderry Beach and Watergate Bay. This location is ideal for every kind of holiday, partly because the accommodation here is so varied. If you are looking for self catering properties with close access to the zoo, promenade, town centre and other attractions, then you shall have it. Finding a cheap B&B wont be a struggle during the winter, however there is many budget friendly bed and breakfast here offering terrific deals in the summertime too. Fistral Beach is exceptionally clean and at times can become relatively quiet, allowing for uncompromised relaxation. 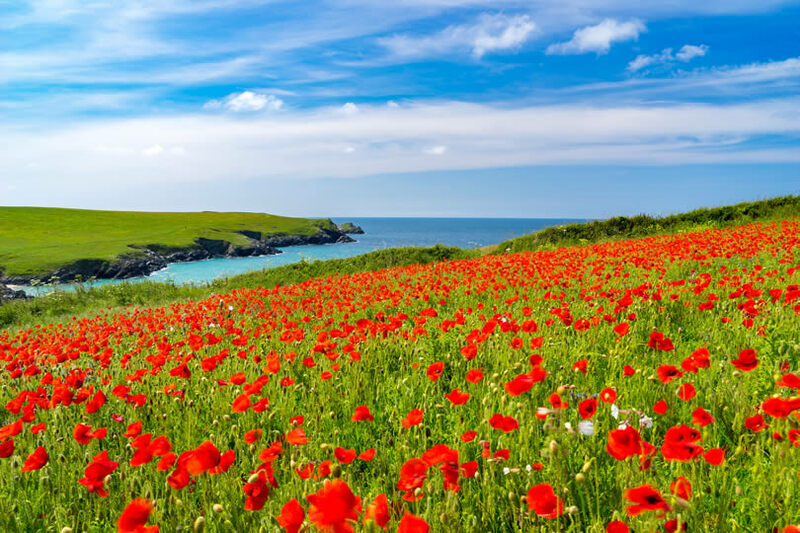 This part of Cornwall offers hundreds of other attractions including historical places of interest, entertainment outlets, water sports and environmental spectacles. Visit the Oasis Fun Pools, the Lappa Steam Railway or if you fancy a short drive out of town, you could visit Cornwall’s Great Adventure Park. Another interesting day out for the children would be a trip to Newquay Zoo, the biggest animal park in the county. Plenty of excellent hotels can be found in town as well. Looking for a cheap place to stay with free breakfast ? In regards to accommodation, this town will provide something for every budget, taste or preference, therefore you can relax knowing that you will find something more than adequate. The Fistral Beach Hotel & Spa has been rated as 4 star property and has been the recipient of many fantastic reviews. Other seafront guest houses include The Headland Hotel, Watergate Bay and Trebarwith Hotel. All are moderately priced and offer services such as Wifi, swimming pools and room service. Accommodation such as the Priory Lodge is absolutely terrific for families thanks to speedy check ins, varied cuisine and exceptional service from the staff. This hotel is situated within close range of local restaurants and offers fantastic views of the ocean. There are many cheap guest houses and b&bs here which are perfectly suited to couples looking for a romantic break away together. Incredibly comfortable bedrooms combined with the convenience of room service ensures you will enjoy a memorable holiday together surrounded by gorgeous views and excellent cuisine. A number of attractions, including the Zoo, Waterworld, Pitch & Putt and Trenance Gardens, with its boating lake are within easy reach. Many charming properties offer en suite rooms with free Wi-Fi and free car parking. A choice of full English, vegetarian and continental breakfast options are on offer each morning. Breakfasts are included in the rate. Fistral Beach and the International Surf Centre are close by. First Great Western Trains run from Newquay Railway Station on a branch line, which links onto the main train lines at Par Station. From here you travel to among London Paddington, Manchester city centre and Glasgow central station in Scotland. This seaside resort town is located on the North Cornwall coast in south-western England. It faces the North Atlantic Coast. It is approximately 20 miles west of Bodmin, and just over 10 miles from Truro. From the town’s international airport, Newquay NQY, you can fly daily to several major cities in England and Scotland, such as Liverpool LPL, Manchester International, Birmingham’s main airport called BHX, Glasgow International GLA, Edinburgh EDI, Newcastle NCL and Belfast City. The airport is approximately 5 miles from town. Great surf beach with great facilities. There are apartments, b&b’s and hotels to stay around in the area. Beach located at the bottom of cliffs, also ideal for surfing. Good for families as there are life guards during the day. Wonderful Zoo and wildlife animal park. A lovely place to spend a few hours. Take a journey into the caves and coves of BUCCANEER BAY and listen to Capt Jack Calico talk about cornish pirates. It’s a wonderful and enjoyable theme event. Aquarium where you can see creatures of local seas as well as more exotic species. This lovely town is located on the craggy North Cornwall coast. It’s a popular holiday destination for families and surfers.